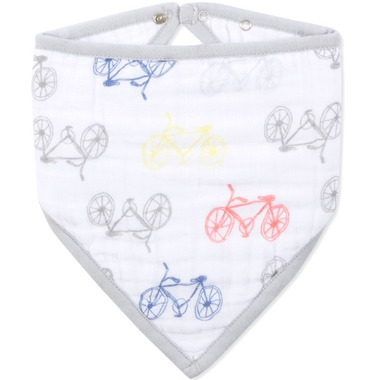 aden + anais brings a sense of style while teething and feeding with this bandana bib. Made of 100% cotton muslin, the signature prints and extra absorbent fabric keeps baby fashionable and clean—making these bibs a must-have accessory. These bibs also have multiple snaps to expand with baby's growth.